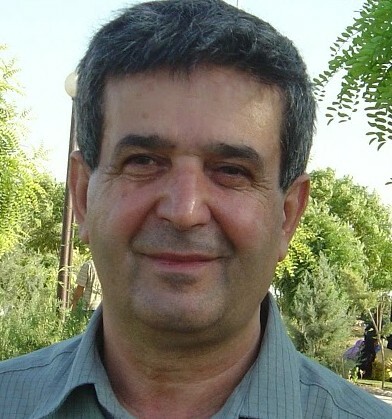 Notes On the Proposal of "Secular and Non-Nationalist Government"
A study submitted by Muayad Ahmed to the Thirty-third Plenum of the Central Committee of the Worker- Communist Party of Iraq. * see addendum below. Note: This article was published with the approval of the Central Committee of the Worker-Communist Party of Iraq. Below is the English translation of the original Arabic text issued in 28 April 2018. Below are the main points of my remarks about our Workers and Socialist alternative in relation to the state and the government, which was discussed at length in a number of meetings of the Political Bureau during the process of final drafting of the document "Political Situation and Party Policy". I have already sent my notes regarding the first sections of the above document and most of these notes have been entered during the redrafting. So I will focus on the last section of the document which is about our governmental alternative. Members of the Political Bureau are aware that I had proposed the slogan "The Workers Government" instead of "Secular and non-Nationalist government" that was proposed by some of our comrades regarding our governmental alternative to the current political situation during the discussions we had on the document. I have stressed that it is not correct to put the model of the state in the political tactics and political platform of our party towards the current situation in isolation from the class content of the state concerned, that is without specifying the class essence of the state we want and the economic and social content of the transformations it achieves and its -function- as a means of " oppression of a class against another class". We know that the establishment of the workers government depends on the change in the balance of class forces in favour of the labour movement, communism and revolution. As long as this change in balance has not happened, the transitional forms of government, whether in revolutionary�-or-non-revolutionary situations, as far as content is concerned, remain dependent on the course of the class struggle at that moment and that historical circumstance. In other words, whatever the transitional forms that the state and the government will take in those circumstances and historical moments, their workers class essence and Councils character will remain the ones that determine the workers and socialist governmental alternatives for the communist parties, ie-;- a Council based government of workers, toilers, and the vast masses of the deprived and oppressed. Therefore, the failure to mention and define the class character of the government and the state in relation to the political transformations that the society will undergo, is nothing but forgetting�-or-neglecting the reality of class struggle and its association with the question of the state. In short, the proposition of a "secular and non-nationalist"�-or-"civic-democratic" state�-or-"equal citizenship state" as a political tactic and an alternative government is to conceal this class- antagonistic context and tangible materialistic relationship that exists between class struggle, the state and the government. The main task and struggle of communists in relation to the state is not to change the form of the state, although changing the form is also important, but changing the essence and the class content of the state,�-or-rather breaking the machine of the bourgeois state and transforming state authority from one class to another. The state, in the final analysis, is a tool of oppression of one class against another class. This essence and this class -function- are the foundations for the stance of the worker communist current and its party towards the state and the government and their transformations as well as towards the major political and social changes that take place in contemporary societies. However, the transformation of state authority from one class to another and the destruction of the machine of the bourgeois state and the establishment of a worker and toiler-based state is not a matter of the mind, but a matter that is related above all with the emergence of the revolutionary situation and the triumph of the social revolution of the working class. Consequently, the establishment of the workers state depends on the change in the balance of power and securing the political, organizational and intellectual readiness of the working class to lead this revolution to victory and here lies the heart of the matter. That is to say, talking about changing the nature of the state necessarily introduces us to talk about the social revolution of the working class and the class struggle and their problems and their paths and different phases that they undergo. In the current era, what has been historically raised in Iraq and the region, like all modern capitalist societies, is the social revolution of the working class. The revolutionary change of the outside world takes place through this revolution and its triumph. Thus, the only class that can lead it is the working class and its communist parties. Therefore, any political and social transformation and the realization of the main immediate demands of the masses and practicing any communist political tactic will necessarily constitute the elements, forms and paths of this social revolution and strengthen it and push it forward. This means that the party s policies and its -dir-ect and immediate political actions, with regards to the current situation and urgent political, economic and social demands, must be towards achieving these demands in a deeper and more radical manner, so as to create the conditions and atmosphere that are suitable for the advancement of the workers class struggle and broadening its extent. In other words, the party achieves these tasks in a way that creates the elements of a revolutionary crisis that pours into the march of the social revolution of the working class. As without this, our policy will fall into the framework of the bourgeois formalistic reforms and pseudo radical leftism, without getting rid of the impasse of the current situation in Iraq. In a word, whatever our good intentions, we will fall into the trap of bourgeois reformism and the pseudo radical leftism policy which contradicts the requirements of organising and preparing the social revolution of the working class. Additionally, the masses will not be freed of the tragedies of the present situation, nor can we take serious steps towards achieving security, freedom and equality. What I mentioned above is generally reflected in what we put forward in the document of the Fifth Congress of the Party, on the "Political Situation and the Basis of Our Strategy". The current document, "The Political situations and Party Policy," is about to present policy�-or-political tactics towards the political situation in Iraq at the present time and in the balance of the current forces between the classes and their parties and political and social currents. The current document refers to the interference in organizing the social protests of workers and the masses in the fields of economic struggles, securing services, realization of political rights and against Islamisation of the society..etc. It emphasises, in one way�-or-another, on the organization of these protests and unifies them and elevates them to a revolutionary mass political movement against the existing regime. The main problem is that we have to be clear in this document that this labour and mass movement will culminate in a revolutionary political movement to end the existing political system and replace it with another political system that achieves the goals and demands of this workers and masses movement urgently and in a revolutionary way. Not only that, but also as a part, form and component of the social revolution of the working class and of the procession of class struggle in the society. From the Marxist point of view, at the heart of any major political transformation there is a basic law that is at work which is the law of class struggle and the emergence of class balances of different levels between revolution and counterrevolution, between the forces of the proletariat and the bourgeois forces, between socialism and capitalism. The concept of "Secular and Non-Nationalist Government" ignores and does not take into account this class aspect of the social and political struggle, and thus produces nothing other than handing over the proletariat to the hands of the bourgeois reformism despite honest intentions. My main point is not to derive terms regarding the government in order to fit logically with the document but to defend the aims of our socialist struggle in association with the real movement and the real class struggle in society. Therefore, we have to be clear about the state we are proposing as our alternative at the heart of this movement that is aimed at ending the existing regime. There cannot be a "populace" government that serves everyone and works for the benefit of all. That is an illusion. There will always be a government�-or-a state that is monopolized�-or-dominated by a certain class, at least in its transitional stages, a revolutionary class�-or-a reactionary class, the proletariat�-or-the bourgeoisie. There is nothing in common between the bourgeoisie and the proletariat in the field of revolutionary political and social transformations that is being raised historically in Iraq and therefore between them with regard to the state and the government. Briefly speaking, as I have emphasized in the discussions within the Political Bureau, I am with a formulation that calls for a government for the masses of workers, toilers and the disadvantaged, a councils government based on the -dir-ect will of theses masses, in the heart of future political transformations. A formulation that emphasises on moving the socialist struggle forward, within these transformations and transitional form of government, while maintaining our main slogan with regards to our government alternative ie Workers State. I am with the idea of the party having policies and political tactics, no matter how weak our party is. The political agenda as a party and as an organized force is to advance the class struggle that is taking place outside the party and at the society level. Consequently, the aim of the political proposition and political tactics must be to strengthen the actual movement taking place on the ground and advance it in a revolutionary -dir-ection. The social and political opposition of the masses of workers and toilers is widespread in Iraq, therefore, we have to put forward a political platform that strengthens this potential movement and mass protests and unites them in a revolutionary political movement against the status quo. The achievement of this movement s basic demands is essential for the party, including its progress into a movement to end the existing political system and establish the workers government alternative. On other occasions, and recently in a meeting of the Politburo, I have referred to the need to take lessons from Lenin s model and political method to intervene in the political transformations that they called the stage of transformations of "revolutionary democracy" in 1903-1917. In this context, I have referred to his methodology and his practical political approach in intervening "from the bottom" and "from above" in the movement. In other words, intervention within the movement of workers and toilers masses, "peasants", "revolutionary democracy" ie: "from the bottom", and within the framework of the government arising from this joint revolutionary struggle, ie "from the top". Given all this, we must ensure that our tactical policies are consistent with and not in contradiction to what we have laid down in the party s strategy. The political tactic does not mean detachment from the strategy and does not contradict the main principles and essential programmatic -dir-ection of the party, since the tactic and the strategy are intertwined and usually the communist political tactic is adopted within the general framework of the party s political strategy. The main and most important thing that we face now and we must take the serious steps to resolve, is that it is known that we have very little engagement with the class and social base of our party and their struggles. Nor did we establish a network of communist workers committees and social cadres among workers and toilers within the heart of the society to found on it the structure of our party, like any worker communist party that is deep rooted in the labour movement and the struggle of the masses of the toilers and the exploited and their way of life. It is also clear that currently, the labour movement itself is neither unified nor strong and the political and socialist prospective is weak among the workers and the toilers. The main task for us as contemporary communists and organizers in the Worker Communist Party of Iraq is to change this situation and to find ways to solve this old dilemma which is as old as the history of the party. The task of connecting with the masses of workers and toilers and the mutual influence on the movement is not achieved by simply introducing the policy�-or-tactics on the current situation. Rather, it requires us presence, connection and building the party organizations in a way that is related to the progress of the organization of workers, toilers, the unemployed and the impoverished masses and their struggles. In other words, we need to change the overall political and organizational practice of our party and to be a party involved in the labour and social protests in the country. We need to look at the organization of the party as a social matter, at the same time make strides in the organization of workers and the unity of their ranks and their will for struggle. The transformation of the party into a mass workers party, deep-rooted in the working class and the proletariat is neither a purely organizational matter, nor a plan with organizational details. Above all, it is a social, class-political matter, a model of struggle that strengthens the ranks of the proletariat and its practical protests and strengthens it at the society level. This requires a major change in our vision of the organization and the party s communist practice. The political proposal and the socialist political tactics at the level of society are organic and integral parts of those tasks. They are part of the achievement of the organizational and practical task of engagement in the ongoing class struggle, despite the relative independence of tactics from the method of organizational practice. Therefore, the introduction of a vanguard socialist and pro- workers tactical policy of the party towards the political situation and the current social and political conflict in society is necessary and is part of the political work of the party and of changing the party into a mass based party. The idea that states we are a weak party in our relationship with our class and its struggles, so we do not need politics and tactics, in my view is incorrect. Just before the end of the second and last day of the 33rd Plenum, Muayad Ahmed resigned from his position as the Secretary of the Central Committee of the party and (along with Yanar Mohammed) from membership of the Central Committee. This followed the decision taken by the plenum, in breach of the party s rules, to expel Falah Alwan from his membership of the Central Committee as well as the party for his controversial critical writings about some members of the party s leadership. A few days later Muayad and two other Central Committee members, Yanar Mohammed and Rashid Ismail together with Mohammed Shanan (a prominent member of the Baghdad Committee of the party who had also participated in the plenum as a voting member) as well as several other cadres and party members, resigned from the party.